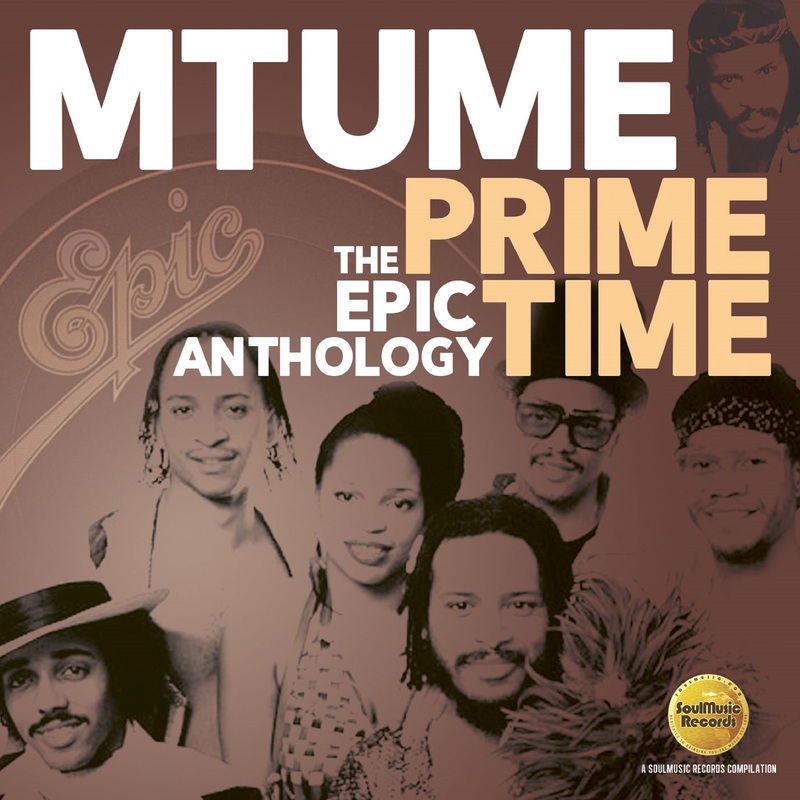 SoulMusic Records is very proud to present “Prime Time: The Epic Anthology,” from the pioneering funk/R&B band Mtume, featuring the group’s eleven US charted singles including the classic, ‘Juicy Fruit’ along with selected album cuts from the team’s five Epic LPs as well as three bonus tracks from the sole solo album by female lead vocalist, Tawatha. Formed by James Mtume and Reggie Lucas, two former members of the touring band for the legendary Miles Davis, the group known as Mtume emerged after the pair’s stint on the road and in the studio with Roberta Flack, who had recorded one of their songs, ‘The Closer I Get To You’ as a duet with Donny Hathaway. Signed to Epic Records, the original line-up included other Flack alumni, drummer Howard King, bassist Basil Fearington, keyboardist Hubert Eaves III, with Reggie on guitar, Mtume on percussion, congas and lead vocals and Tawatha (who first began working with Mtume & Lucas a few years earlier) on lead and background vocals. With Mtume & Lucas (who went on to work successfully with Stephanie Mills and Phyllis Hyman among others) originally writing and producing, the group’s first two albums included such gems as ‘Love Lock’ (popular with UK smooth groove lovers), the Top 20 R&B hit ‘Give It On Up (If You Want To),’ ‘So You Wanna Be A Star’ and soulful ballads such as ‘Closer To The End’ and ‘Everything Good To Me.’ After an amicable split in 1982 with Lucas, Mtume underwent personnel changes and emerged with the suggestive ‘Juicy Fruit,’ the band’s biggest hit single and best-selling album, continuing to record three more LPs.